Open Debate. 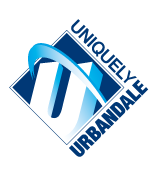 It is the policy of the UrbandaleCommunity School District that all official school publications shall be free from prior restraint by school officials except as provided by law. An editorial board comprising participating students under the supervision of publication advisers shall be responsible for the content of official student publications. The editorial board shall be guided by the Iowa Code and by ethical standards adopted by professional associations or societies of journalism. Publications shall provide students an opportunity for the exchange of ideas and robust debate about topics of student interest, including those that may be controversial. Not District Expression. Student expression in official school publications is not an expression of school policy. Public school districts and employees or officials are not liable in any civil or criminal action for any student expression made or published by students, unless the school employees or officials have interfered with or altered the content of the student’s speech or expression, and then only to the extent of the interference or alteration of that speech or expression. Review. Schools possess a substantial educational interest in teaching student writers journalistic skills. Journalism advisers shall supervise student writers to maintain professional standards of English and journalism and to comply with Iowa law including the restrictions against unlawful speech. It is the policy of the District to encourage the resolution of complaints arising from the application of this policy through an appeal process. If an item is deleted by the adviser, there may be an appeal to the building principal, who shall respond promptly (within one school day). If the principal denies distribution, an appeal may be made to the Superintendent who shall respond within one school day. Regulations. The building principal shall designate the time, manner and place of distribution of all student publications so as to prevent interference with the proper and orderly operation of the schools. Advertisement. The Board of Directors has a compelling interest in promoting citizenship and personal and civic responsibility. This includes discouragement of illegal activities and the purchase or use of products which are illegal to minors. Therefore, advertisements, whether purely commercial, quasi-commercial, or political in nature, that encourage illegal activity or activity in violation of school regulations, or encourage or promote the purchase or use of products or services that are illegal for minors will not be accepted for publication or broadcast. The editorial board of the publication is responsible for enforcement of this policy.